Yesterday, 500 Startups announced its ninth batch of startups in Mountain View. Eleven of the companies in this entry class have at least one female founder; ten countries are represented in the class of twenty-nine; four of the startups focus on the bitcoin marketplace; and there’s only one site that ranks them all — Mattermark. Giveit100, “Vine for self-improvement,” is an app in which users share ten-second videos of their progress-on-goal every day. Mattermark Momentum Score: 1083. ZootRock curates content for your social media accounts, maintaining a presence on Twitter and Facebook so you don’t have to spend time sourcing. Mattermark Momentum Score: 850. ArtCorgi makes it easy to commission original, personalized work from artists by streamlining communication and handling payment within the app. Mattermark Momentum Score: 712. AbbeyPost creates beautiful, affordable, custom made-to-measure apparel for the $18B plus-size fashion market. Mattermark Momentum Score: 618. Pop Up Archive archives and organizes sound collections so that they can be rediscovered and reused for research, marketing, and memories. Mattermark Momentum Score: 512. There are twenty-four additional startups founded on great ideas that we will keep tabs on over the next three months. Did you know that you can search for companies based on accelerator programs? To find out how the rest of this 500 Startups class scored, go to www.mattermark.com and select “Investors” from the “Advanced” filter at the top of the screen. 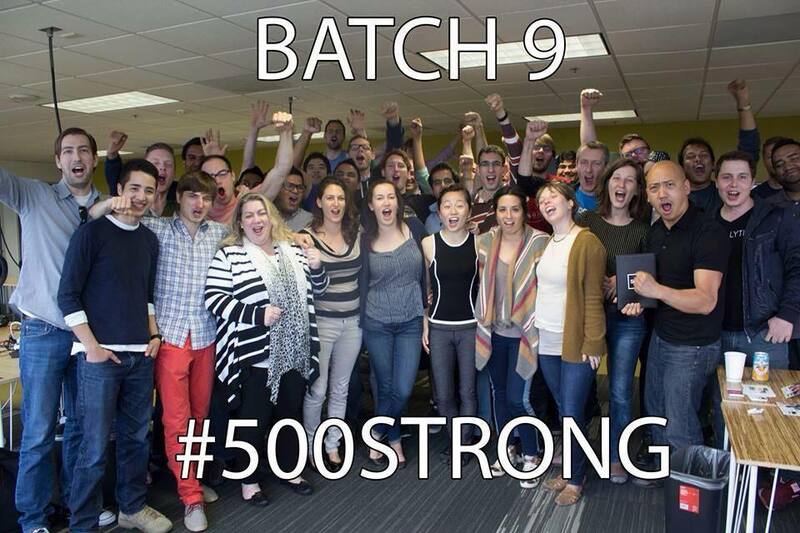 Scroll down and select “500 Batch 9 (Summer 2014),” then click “Done.” You can replicate the search for Y Combinator, AngelPad, TechStars, StartX, Rock Health, and more.